The Men's Strata Complete Callaway Golf Club Set is a complete set with an unlimited combination and forgiveness right of the box. It provides the performance golf players want for their game plus an eye-catching look that suits every style. 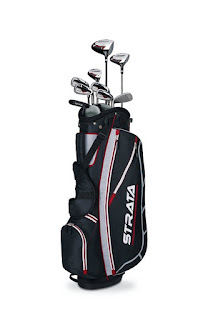 This Callaway Golf Club Set comes with 12 pieces of equipment (9 clubs, 2 head covers, and 1 bag).